I'm a newbie in this game (3rd day in), but I think I kinda figured out how everything works. Didn't read any guides or something, just thought a bit about my architecture. Maybe I'm wrong somewhere, maybe there are some better ways to do it or maybe some unnecessary links are there, so I ask you to point me the mistakes I made. 1 question I ask - are Black Ice with the upper Turret must be connected or not? I prefer connected, but maybe I didn't think about something. scrougy wrote: nice base, but dont use sentry as a choke point, after it IS overtaken, it will blow your defense easily. as for BI, welp, its good eather way at your level, higher up, its a bit trickier. Yeah, I know Sentry usually bad at this point, but with 4 connection slots it perfectly fits there. It's enough for few front nodes, and second sentry is far below main defensive setup, so everything already black, when someone comes through. Looks like players helping u here so cool missed thIs post before I replied to other and 4 slots on gate choke & core no no mate try something else, also read up on wiki 4 hackers and also u can join discord if u like im not on it but feel free to try it. The number of program slots attackers can use is a big deal. Assume, for example, you have a choke point where attackers can only use three programs. Since it's a choke point, they need defensive programs to keep ownership the node they're attacking from. If they're using ice walls or protectors, that means there's only two program slots left for offense programs - and intermittently less if they need to place additional walls/protectors before the current one breaks (otherwise they'd immediately loose the node). That basically forces them to use a protector in the first slot, blaster in the second, and switch between wall/protector and beam cannon for the third slot. Three program slots is really restrictive. However, you've given your opponent four program slots to attack both your Code Gate and your choke point. Now they can use two blasters, a protector/ice wall, and one spare slot to switch between beam and installing more protectors/ice walls. That's well more than a 50% increase in damage output, which is enormous. Now they capture the adjacent nodes faster, so they can use fewer defense programs, so they have even more programs and time to tackle the other parts of your network. The snowball effect is very real. That is why level one scanners, databases, or b-coin mixers are preferred for choke points. They have tiny health, 4 connection slots, but only 3 program slots. Low level guardians are similar - 5 connection slots, 4 program slots - but now there's so many nodes connected to the choke, you'll see more people break out shockers to take advantage of stunning all those neighboring nodes (getting more bang for their buck). One final thought: Don't upgrade your farms too much. They inflate your level quickly, making you visible to higher level opponents despite not having upgraded your defenses. A LOT of farm builds quit the game between level 20 and level 40, because they just can't progress any further. Their defenses become too weak to keep the farms even moderately safe, and their programs are often poorly leveled because they didn't plan to make most of their money by hacking others. In your position, I would not upgrade your farms/mixers any more. Not at least until level 40, probably longer. Hell_Diguner wrote: One final thought: Don't upgrade your farms too much. They inflate your level quickly, making you visible to higher level opponents despite not having upgraded your defenses. A LOT of farm builds quit the game between level 20 and level 40, because they just can't progress any further. Their defenses become too weak to keep the farms even moderately safe, and their programs are often poorly leveled because they didn't plan to make most of their money by hacking others. In your position, I would not upgrade your farms/mixers any more. Not at least until level 40, probably longer. Geez, so that's why I can't progress any further, getting hacked by strong opponents and all. But one thought, if you don't upgrade DB/farm/mixer/mine, then how come you're gonna upgrade your core? Or the viruses or anti-virus nodes (eg. to upgrade kraken to 2nd level, you need 16K b-coin)? Upgrading the anti-viruses means strengthening the defense of the network, right? A network with 3 Guardians and 4 Code Gates is usually harder to hack than a network with 2 Code Gates and 1 Guardian - even if the network with fewer nodes has more well upgraded nodes. As for how you make money... you steal it. If you have decently upgraded programs, compiler and libraries, you can steal way more money in 3 hours than farms/mines can generate in 24 hours. You steal a bunch, then spend it on one or more upgrades before logging off. If you minmax build your network super-optimally for this playstyle from the very beginning and stay at low reputation (unlike iblitxkreig there), you can hoard money for weeks on end without fear of somebody else robbing you overnight. Until, oh... I'd guess about level 40. Then you start running into other sharks with moderate frequency even at low rep. But if you really can't progress at all, try to dump your Rep to 0 by keep losing a hack (you can place an Access and leave, he won't able to retrace you back). You will see many easier targets and juicy loot there. 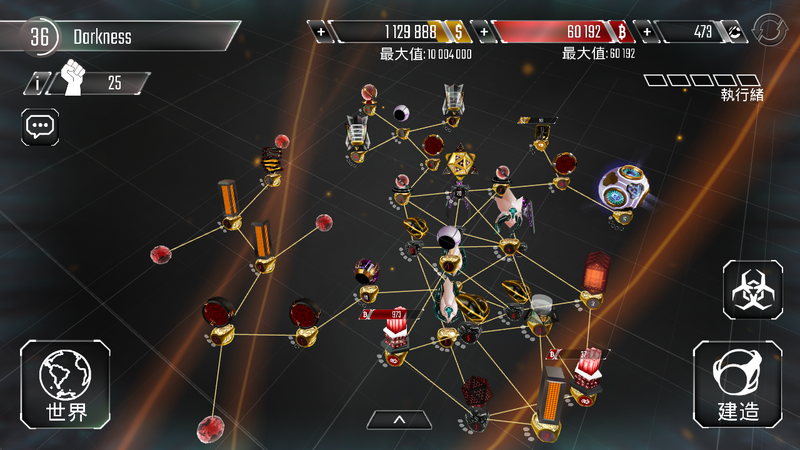 Hell_Diguner wrote: If you minmax build your network super-optimally for this playstyle from the very beginning and stay at low reputation (unlike iblitxkreig there), you can hoard money for weeks on end without fear of somebody else robbing you overnight. Until, oh... I'd guess about level 40. Then you start running into other sharks with moderate frequency even at low rep.
You're right lol... and They usually have high lv shockers above 40 lv... and You gonna face some 5X lv at 4X too lol... and usually they will have high lv beams and shockers together. That's why you can be hacked no matter what design you have T__T"
And join Discord to chat with us =P (it's in my signature). We will be able to help you instantly without waiting. Also, read some guides and the Hackers wikia to obtain more information you need for this game. Last but not least, choose between Beam and Shurikens. Do not lvl up both (although you still need 1 lv shuriken to unlock further programs like ICE Wall and Protector. Choose Blaster rather than Ram. And try Stealth (Access, Wraith). Stay Data Leech at 1 lv... it's not useful at all (but 1 lv is ok in mission base).